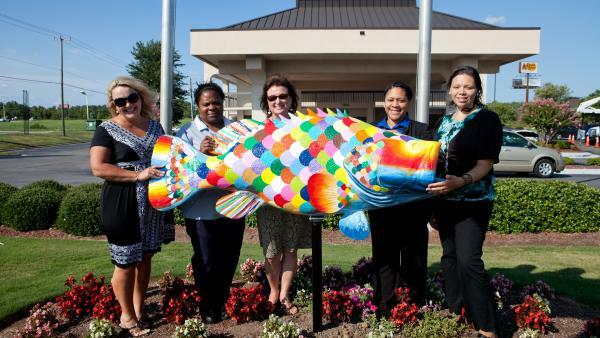 Quality Inn released their beautiful and brightly colored rockfish, painted by Jessica Matte of Littleton. This fish is a bright and cheery welcome to the hotel and to Halifax County, much as is the friendly and courteous staff of Quality Inn. Quality Inn offers its guests a pet-friendly hotel with comfortable rooms complete with coffee makers, refrigerators and microwaves. The hotel features a free continental breakfast and an outdoor pool.